Some of the features in Windows operating system is available only if you are running a specific or later version of Bluetooth. For instance, the Nearby Share , Bluetooth version number is usually mentioned in PC’s manual or product information page on your manufacturer’s website. But if your laptop is few years old, you likely have lost the manual and might not be able to find its information on the web as well. 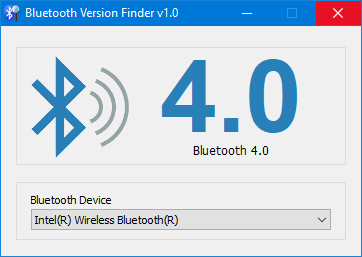 Finding Bluetooth verison manually through the graphical user interface would be time consuming, tedious and, prone to human error therefore we have coded a portable Freeware “Bluetooth Version finder” . It is the easiest method to find the Bluetooth version number.